Filmmaker Guillermo del Toro is keeping Javier Botet pretty busy these days. Earlier this year the Spanish actor played “Mama” alongside arguably the No. 1 actress in Hollywood today, Jessica Chastain, in Mama, which was produced by del Toro. 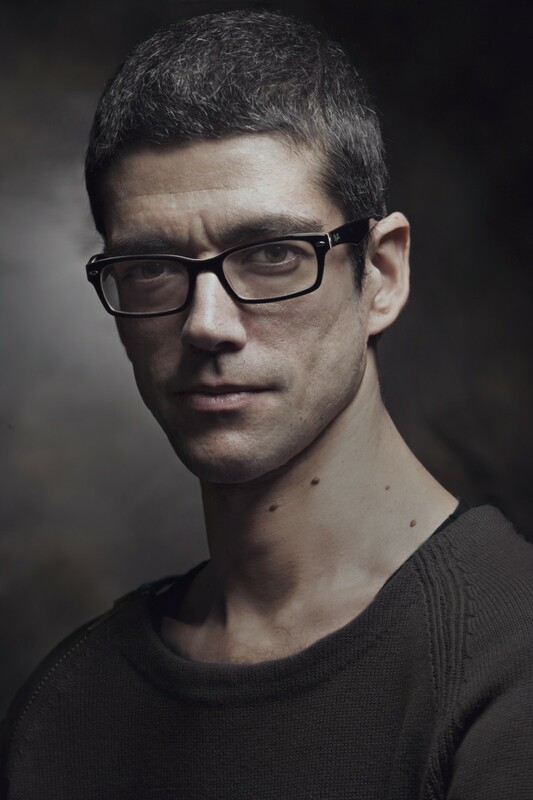 Botet is currently part of two new del Toro projects. The film Crimson Peak reunites him with Chastain and also stars Sons of Anarchy‘s Charlie Hunham. The other is del Toro’s upcoming television series The Strain. How did you come to be in Mama? I was in Fantastic Fest in Austin introducing REC2 (a movie Botet is in) and I met (Mama director) Andy Muschietti. He proposed me to be Mama. How was it working with Guillermo del Toro? Last week I was again in Toronto (the place we shoot Mama) and we were working on his new series. For a long time ago I wanted to work with him, and in Mama I met a very passionate Guillermo, with a lot of projects in his mind. He was gentle and happy with the work he saw we were doing in Mama. Now I’m happy to work again with him. It’s a dream come true. And Jessica Chastain? She is arguably the No. 1 actress in Hollywood. I saw the behind-the-scenes video where she kisses you on the cheek. I’m jealous. Jessica is as beautiful as she is adorable. I love her. We had a lot of good moments to remember in Mama. I think the reason she is in the top of projects is not only that she is an excellent actress, she is an incredible sweet and good person. A pleasure to work with. How different, if it was, was working on Mama compared to anything else you’ve done? A big project, with these people, the American Industry. It was intense, hard, and great. Everything was different and special compared with anything else I’ve done. Now I hope nonstop to be working in that way. Have you lived in Spain your entire life? Yes. In a lot of different places of Spain. Are you single and do you like to go out and enjoy a beer or anything? Was it difficult being a child with your condition – were you bothered by any other children? How did you get started in performing arts? Yes. You know in childhood it is difficult to be different. I spent long times in hospitals and it was complicated, but it made me know how strong I can be, and it helped me to get my wills. A long time ago I started to shoot my little short with my own cam with friends, but in 2005 came my first professional work. I visited an FX make up workshop and took a look at what else the teacher was doing outside of classes. He was working for movies and then I offered myself for work and have them take benefit of my peculiar body. That was my first work, a humanoid in a movie by Brian Yuzna (Beneath Still Waters). A bad movie but one of my most memorable experiences. I have a very eclectic criteria: Michael Jackson, Queen, Keaton Henson, The Presidents of the USA, The Tallest Man on Earth, Journey, and a lot of Spanish classics like Camilo Sexto and José Luis Perales. Backstreet Boys, a lot of romantic classics, Peter Cetera’s greatest hits, Metallica, Guns N’ Roses, The Beatles, Beach Boys, Eminem, Morricone. I’m working on two projects with Guillermo del Toro as you can see in IMDB and waiting on the green light for another big project in London. Meanwhile, I’m drawing and designing a video game – I’m an illustrator too ( www.botetart.blogspot.com), and I’m preparing personal projects. I’ve just directed a low-cost movie with some friends called Al Final Todos Mueren – At The End Everybody Dies (www.alfinaltodosmueren.com). Javier Botet and Jessica Chastain from a “behind-the-scenes” clip on the Mama DVD.